60 degrees. To a Floridian, that might seem cold. But after months of temps in the high 90’s with disgusting humidity, I was thrilled to head to Chicago and enjoy temps in the 60’s. Any lower than that and I would have been a sad panda. What I wasn’t so much a fan of was the rain. 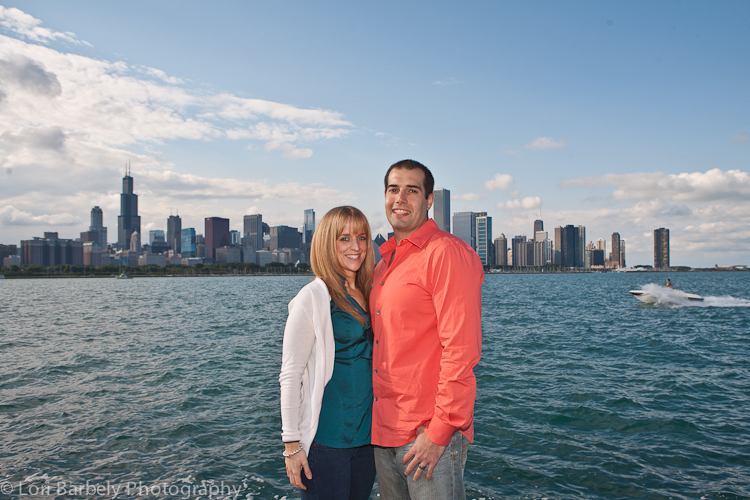 But the weather gods were good and we had a gorgeous sunny day for Cheryl + Dan’s portrait session. They hauled my touristy self all over town and we had fun shooting at some quintessential Chicago landmarks. Thank you two for showing me Chicago!